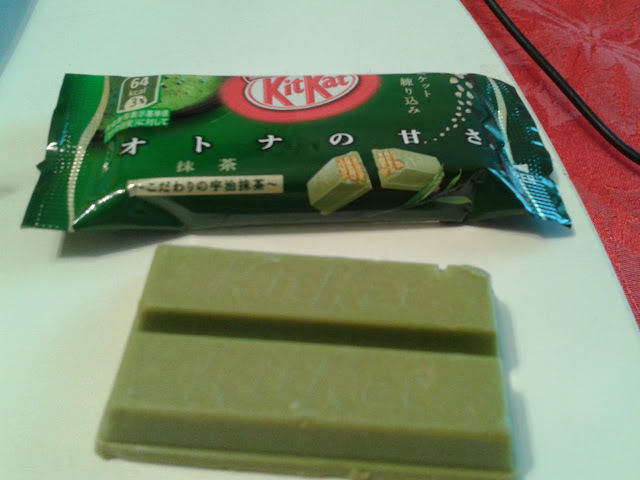 The ever popular Green Tea/Matcha Kit Kat is probably the most highly demanded Kit Kat in the States (Washington at least). Almost weekly, someone asks for them, but unfortuneately, all the vendors are out of them since this is a seasonal product. From what I understand, this particular flavor comes out in Spring in Japan, and whatever Japan can spare to certain California vendors is the rest of what people in the US can get. (*note, this is a late post, I bought this product back in October and it doesn't expire until June 2013). There aren't many out there now, what is out there is probably the loads of cases many stores have bought last year..not new product. This particular bag comes with 12 small pieces and retails around $6.99 and can be found in larger/popular Japanese grocery stores. 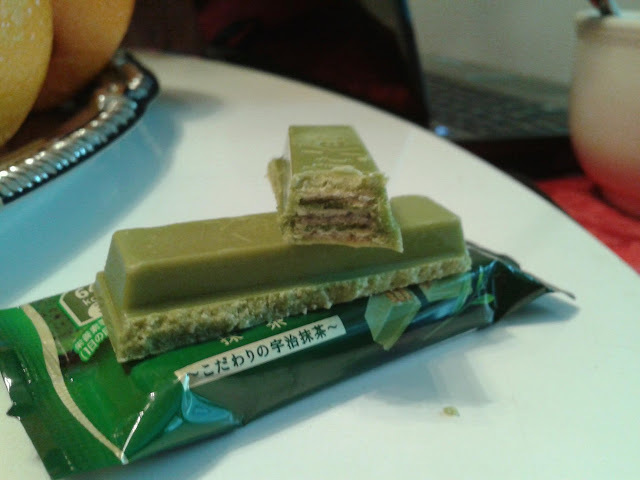 The green tea/matcha flavor is not overly powerful. 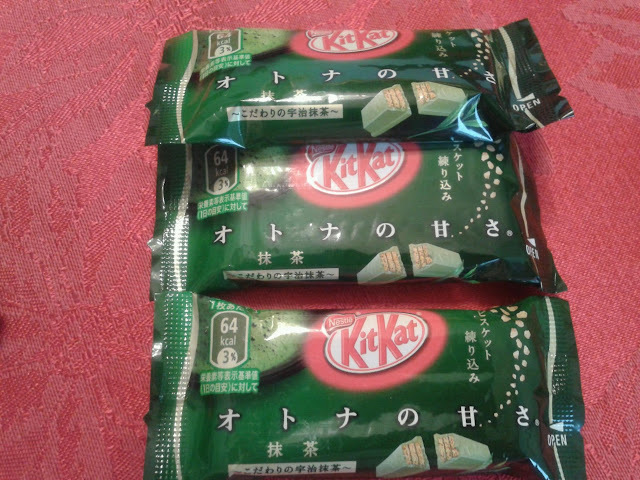 I kind of wished that they had a stronger green tea flavor like other Green Tea kit kats i've tried (i have a review on one coming soon). 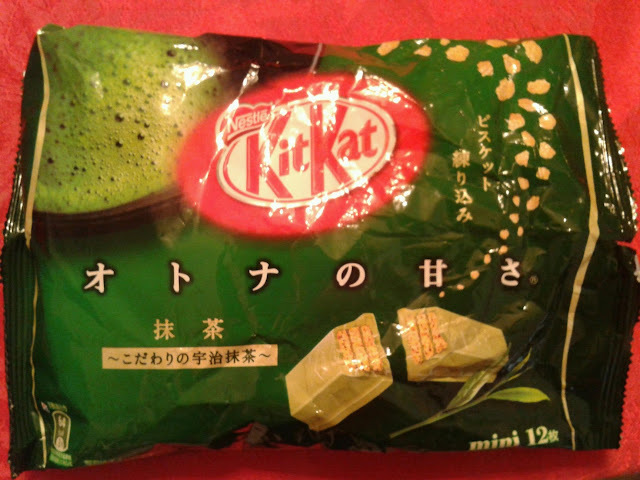 But out of all the Green Tea Kit Kats that I have come in contact with, this bigger bag is easier to get a hold of. For Japanese Kit Kat lovers, I would definitely scour stores to see if any of them have it (though highly UNlikely, and they probably won't come out again till around Summer time). 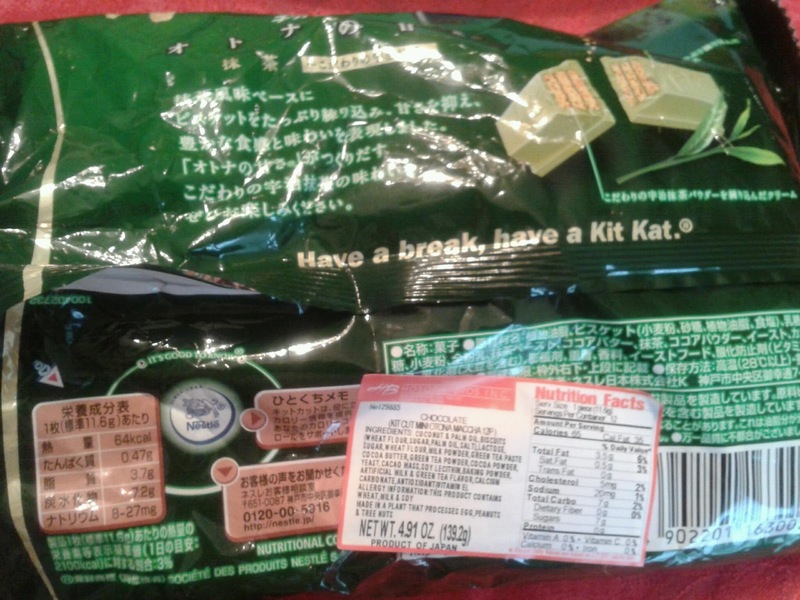 IF not, perhaps you could check out Asian grocery stores in Canada because they tend to have a larger selection of Japanese Kit Kats.